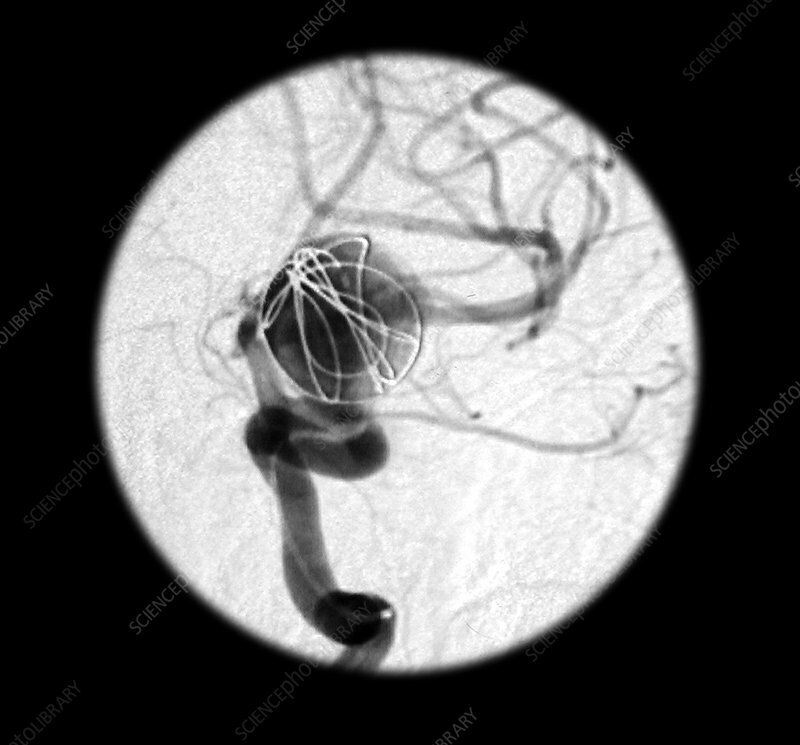 This view from a carotid cerebral angiogram was obtained during GDC treatment of an intracranial aneurysm - ophtalmic artery aneurysm. This image shows the placement of the first coil into the aneurysm sac. The thin long defect in the dye (contrast) column in the artery is the microcatheter which is used to deliver the coils into the aneurysm.